Writing is one of the most overlooked skills by designers. 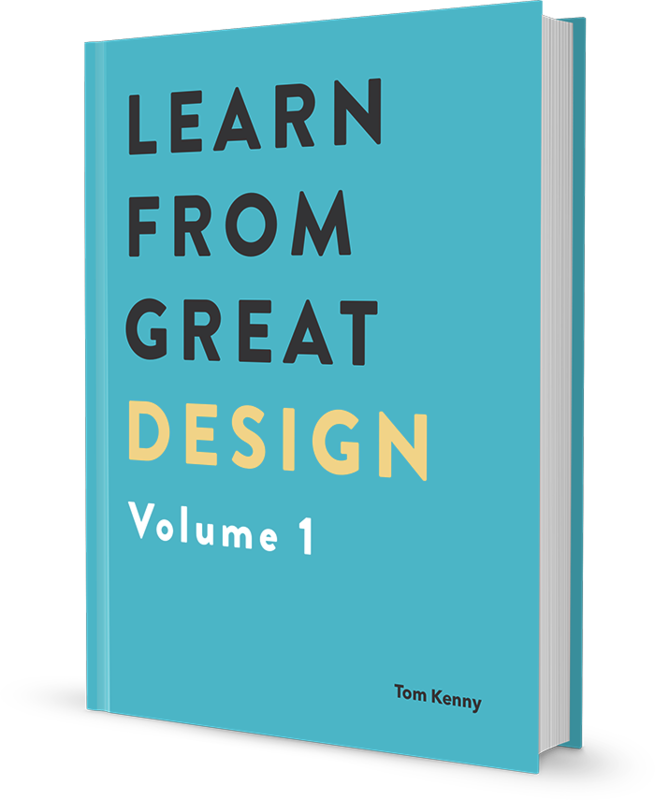 I can understand why as it isn’t immediately obvious how much it can help, so my job in this week’s article is to show you how it can assist you in your design work. Elements of the new Inspect Element homepage were basically designed in my head while walking down the street. That sounds strange but I wrote everything down in as much detail as possible on the spot as soon as the ideas entered my head (I capture everything in Evernote. It’s my second brain!). This process made it so much quicker to actually design the site. When I sat down to create the design with a blank canvas the next morning, I already knew what I needed to do. There was no time wasted trying to figure out what I wanted to do and I even started coding the front-end that same day. Sure, there is value in experimenting as you go as I’ve written about before and I still had to experiment with the design but if you can experiment with thoughts and turn them into words, you can save time. There’s the added benefit of feeling like a design genius when everything falls into place when you start the design work. I’ve highlighted the points directly related to helping you design. Consider the other points bonuses that will help compliment yourself as a designer and person too. When I first started Inspect Element, my memory wasn’t the greatest. Writing about everything I learnt as I went along helped me remember what I was learning. I didn’t have to refer back to my blog posts that much but they were there incase I needed them. Writing will help you grow faster as a designer because you’ll be able to remember more, freeing space for you to learn more. I’m sure you’ve had a clear vision in your mind of almost exactly how you want to design a particular site before you actually start working on it. I’ve heard many designers experience this moment of high inspiration before the start. It’s a great feeling but as it can be a high, you can “fall” and never quite reach that high again. To prevent this fall, commit your idea to writing as soon as you can. Writing at the moment of inspiration will help you avoid not being able to recollect your vision further down the line. It sounds obvious but almost no one does it. Your inspiration will also likely not be at the same level. Both memory and inspiration fluctuate over time. Protect them with writing. Writing also helps develop ideas. Writing down your idea will help you remember it but it will also help you develop it. Even with that initial vision you probably won’t have the complete design stored in your mind. Writing will help you flesh out your idea into something bigger and better. Writing requires focused thought and that is exactly what can help lead to expanding on your ideas. Communication always benefits from better writing. Even writing this article right now, I feel more confident in expressing the idea of being a stronger designer by writing. I know it benefits myself as a designer but I’ve managed to express the idea much better simply by writing it down. General communication with clients and bosses will improve by practicing writing. The sheer amount of emails we all deal with on a daily basis will testify to that. Writing will help you communicate more clearly, reducing confusion and saving time. Research is an important part of working with clients/bosses and another area helped with better writing. Once you’ve gathered your research, write it up into an article making it easy for anyone to read. Share it with your client or boss and anyone else in other teams you think can benefit from it. You status as an expert will be enhanced by doing so and therefor the trust in the work you do will increase. The actual wording on UI elements can have a huge impact on the usability of your design. Changing the wording on call-to-actions for example, can effect conversions rates. Writing doesn’t come easy to me but I enjoy the results it brings when I use it to my advantage and as I get better at it the more I write. You should write more. Your design work will thank you.